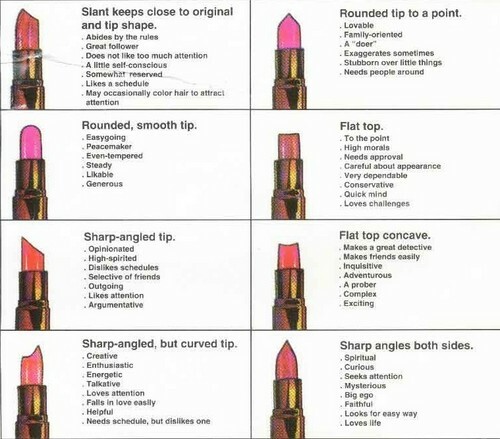 What Does Your Lipstick Say About You?. Trying to earn a medal here. xD. HD Wallpaper and background images in the Personality Test club tagged: personality test lipstick. I'd say I am sharp-angled. I fight about a lot of things. I am not outgoing and I do not like that much attention. And what If I never wear lipstick? wow, t works! 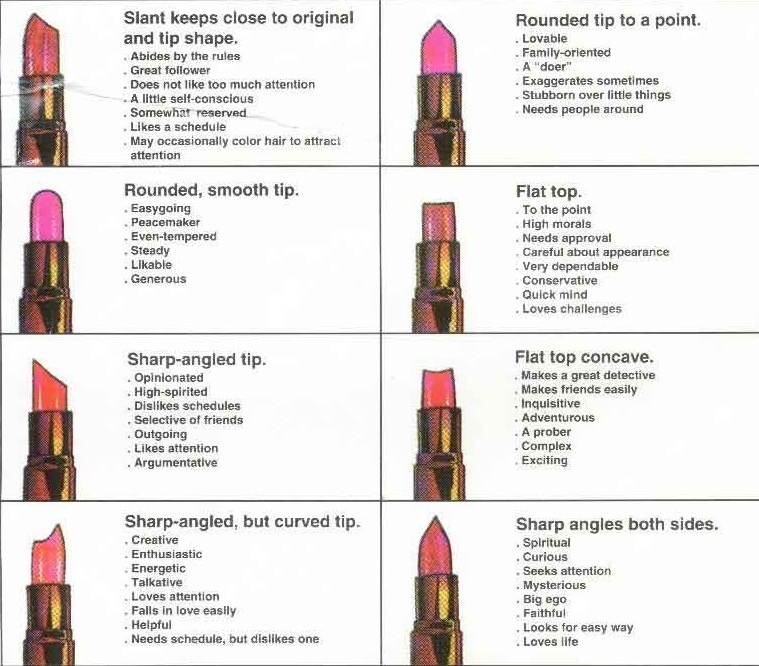 i am a sharp-angled tip!